Welcome to Claire Davies Hairdressing, Uckfield's premier hair salon. Our team are here to offer you unparalleled expertise to ensure your haircut, colour and finished style is tailor made especially for you. 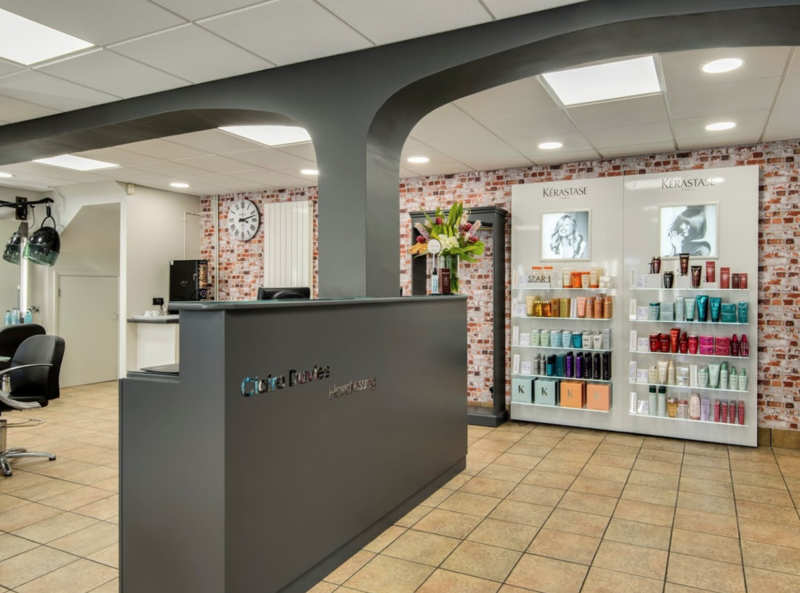 We can also offer further luxury at our dedicated hair spa, with a range of personalised hair service using Luxury hair products Redken and Kerastase, which will ensure you leave feeling and looking your best. I have been coming to Claire Davies for a number of years and after moving away I was so happy to return to consistently lovely haircuts in a friendly salon. I have recommended it to friends because I’m always satisfied with the service. I had a change this time and was very happy to leave my hair in Lucy's hands. We’d discussed a change to the colour I usually have and she was totally up for it. I'm always happy to go with the flow in this salon. Awesome appointment once again. Also the playlist in the salon was especially good! Kirsty is a perfectionist, consistent and a superb hairdresser. She always ensures her customers are satisfied with her cutting and colouring, thank you Kirsty. Fiona thank you so much for reviewing us so positively & for being such a loyal client. Really enjoy coming here. The welcome is great. Sophie listens carefully and always comes up with a solution for my hair. My hair always looks amazing when I leave. The cuts I have are always easy to care for afterwards which is important to me. I was always in dread of hairdressers before I came here but I am always made to feel special and welcome. It’s a great team and thanks for making visits to the hairdressers enjoyable. Excellent as always. Kirsty really knows exactly what suits me and is always so friendly but utterly professional. It’s a pleasure to go there. Vanessa thank you for your fantastic review. Along with myself, Kirsty totally appreciates your loyal custom. Very pleased with my hair. Emily is friendly, helpful and professional thank you. Tint, treatment and blow dry. You get a high level of customer service from this salon. The consultation Meg had with me before tinting my hair was excellent . She worked seamlessly to provide the best tint, treatment and blow dry that suited my hair type even Introducing me to curling my hair with straighteners. I was very I impressed with the lovely atmosphere in the saloon and the service Meg and the team gave me . Lovely surroundings which are well maintained. Welcoming staff and a lovely relaxing chat whilst sipping a cuppa and having your hair done. Who could ask for more?! Amazing. Took on board feedback from last cut and colour and really pleased. Thank you for your review. Could I please ask what would raise the value criteria? We choose to use Redken colour & Kerastase styling products which are luxury brands & therefore more expensive which is reflected in our pricing. I hope this has helped explain. Thank you for placing a review fantastic review. Hope to see you again soon. Maria always does my hair perfectly! We are so thrilled that Maria looks after you so well. Thank you for your review. Always friendly and smiling and does exactly as you ask. Highly recommend. My son refuses to go to anyone else! Hi Ruth, thank you for your review & it's so good to hear that you felt Emily has looked after your hair so well. We do hope you are able to recommend Emily to help build her client base as a talented graduate stylist.